Looking for the emergency plumber College Station trusts? Ben Franklin Plumbing College Station is your best choice when you need emergency plumbing repair on short notice. 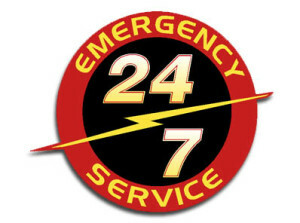 We are available 24/7 for any emergency plumbing need you may have, and we can send out a tech that won’t leave you waiting. What Services Can You Perform? Our plumbers are skilled in repairing a great number of systems in your home. From water heaters to faucets, pumps, tubs, and showers—our techs are experts in fixing your plumbing problems efficiently. 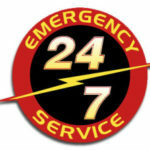 We also offer our emergency plumbing repair services on all of our standard services. To get a complete list of plumbing services that we offer, please look under ‘Plumbing Services’ page. Not only are our team of plumbers knowledgeable in the proper safe handling and care of your plumbing systems, but they are also courteous and punctual. At Ben Franklin Plumbing College Station, our team mindset is to fix the problem correctly the first time, and to treat the home and homeowner with respect. Our plumbers have gone through extensive background checks and training, and are both friendly and skilled when it comes to completing projects. As soon as we get a call for an emergency repair, our dispatch team will be on the lookout for the nearest Ben Franklin plumber that can get to your home. So if you need the emergency plumber College Station trusts, give us a call and we will get an experienced plumber out to you as soon as possible. Ben Franklin Plumbing College Station serves the Bryan/College Station, Texas area with a team of certified plumbers. In addition to emergency plumbing repair, some of the plumbing services provided by the company include: faucet repair, drain services, toilet repair, plumbing fixture installations, tub and shower installations, kitchen sink repair, faucet installation, water heater repair/replacement, and garbage disposal replacement. Call us today at (979) 704-6185 to schedule an appointment!